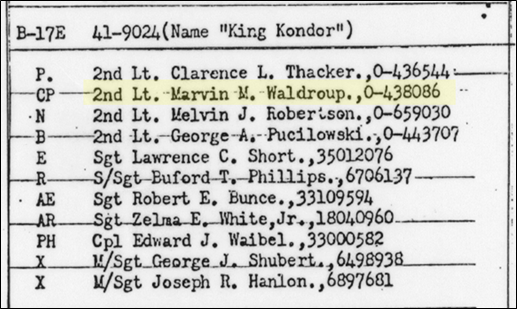 I am trying to locate the archival records of the 414th Bomb Squadron (97th Bomb Group) to continue my research into may father, Capt/Maj Marvin M. Waldroup Jr. who was shot down on August 27, 1943 over Rimini, Italy in the B-17F (42-30705) named the "Ther-N-Bak" - one of two B-17s so-named. 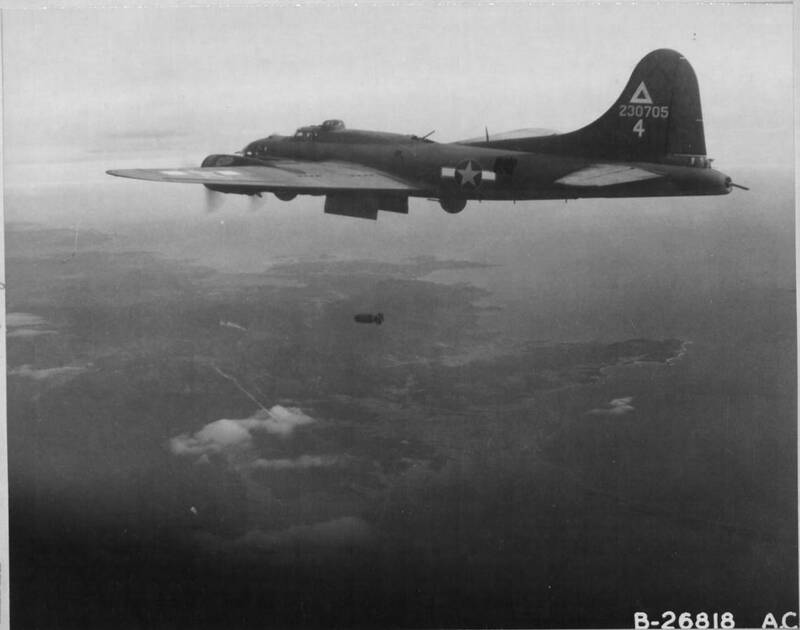 He was one of two survivors and was captured and interned at StalagLuft I.
I am also seeking the duty assignments and the "loading list" for the 414th BS which will provide the various B-17s and other aircraft in which he was an aircrew member. Delivered Denver 15/7/43; Colorado Springs 16/7/43; Kearney 6/8/43; Topeka 12/8/43; Scott 17/8/43; Assigned 347BS/99BG Oudna 31/8/43; transferred 414BS/97BG Depienne 14/11/43; Missing in Action Rimini 27/11/43 with Oscar C. Stedman, Jr.; enemy aircraft, crashed Rimini; Missing Air Crew Report 1303. 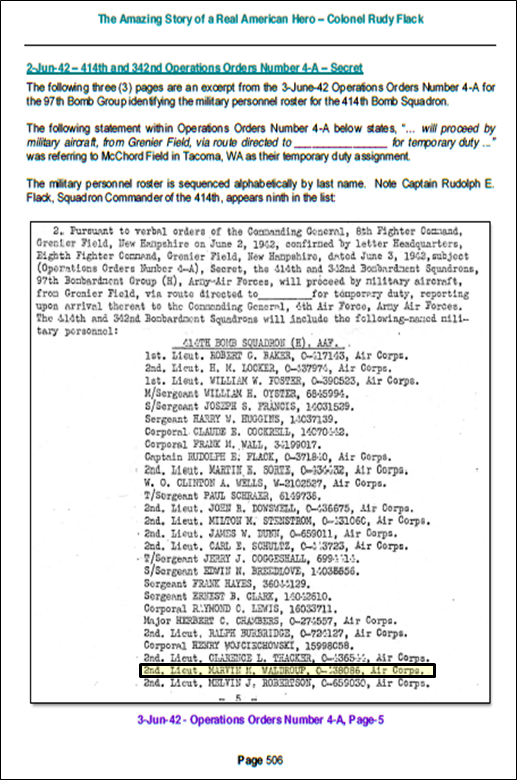 I had previously obtained that information - in fact, the MACR 1303 aircrew list was forwarded my myself to that website. I did make a typo in that submission in that the aircrew member reflected as "Shipe" should have been "Shupe". I have advised the website of my mistake and suspect it will be corrected in the near future. 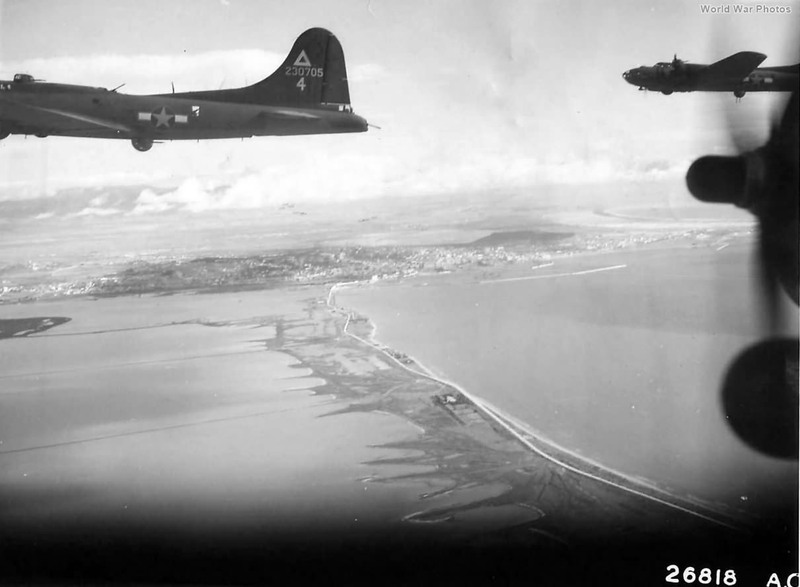 It is the above "loading lists" of the 414th BS from June 1942 thru 27 November 1943 that I am most interested in obtaining. I am submitting a request for his OPF (201) from the MPC in St. Louis and am also considering going to the National Archives in Silver Spring, MD to review the archives of the 97th BG and 414th BS. Thank you again for you efforts to assist - it is much appreciated.